Will Big Pharma’s free speech rights trump FDA, regulatory safety? Recent developments in the law may have opened a new path for drug makers to exercise corporate free speech rights in ways that don’t look healthy for consumers. The FDA approved Vascepa in 2012 for patients with abnormally high levels of triglycerides, a type of fat found in the bloodstream. But the agency rejected a second use that would have allowed the company to market the pill to patients with lower triglycerides who also take statins—drugs used to lower cholesterol. The agency said the company needed to submit more data on whether lowering triglycerides actually translates into fewer heart problems in those patients. And FDA regulators suggested that distributing information about the alternate use would be illegal. But Amarin objected. It sued the FDA and won what observers called a surprising decision in a federal district court. A judge there agreed in preliminary fashion with the drug maker that it was proposing an acceptable “off label” use of its medication. The judge ruled the company could tell the public truthful things about the product, including that it had started testing Vascepa for other uses. Physicians are allowed to prescribe drugs as they see fit, and “off label” uses have become common. Practitioners argue that such uses have led to speedier development of new, effective ways to treat diseases and conditions, including cancer. They accuse the FDA and institutional medicine of being far too slow with and resistant to innovation. Drug makers like anything that increases their sales and profits. Further, they have taken note of a judicial trend, especially at the U.S. Supreme Court to expand corporations’ free speech rights, notably in the controversial Citizens United case. 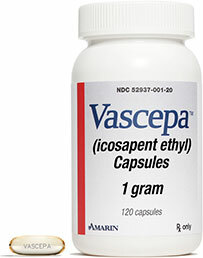 The FDA struck a deal with Amarin, allowing it to promote Vascepa at it planned. The agency gets to review the company’s marketing materials in advance, can object to them, and any unresolved disputes would go to a federal judge. The agency has sought to downplay this surrender, saying it is a one-off decision and provides no precedent. But, as a commentary on the HealthNewsReview.org sites observes, this case is problematic. It opens a way for drug makers to circumvent rigorous FDA review that aims to protect the public’s safety. The commentary cites the disastrous, highly promoted off-label use of a painkiller intended only for arthritis and menstrual cramps. Instead, it was touted for chronic pain, including post-surgical applications. The drug was pulled after patients experienced serious cardiac and skin reactions; the drug maker was hit with $2 billion in fines for its off-label promotion. I’ve written before how ludicrous doctors’ off-label drug prescribing can be, including some MDs dispensing powerful anti-psychotics to tots. As drug prices skyrocket and medications’ availability plummets, the last thing regulators need is to take a piecemeal approach to their oversight; it makes no sense to ask them to try to determine time after time whether a drug maker’s engaged in dicey or dangerous suggested uses of its products or whether these are protected free speech. I’m a First Amendment defender. But it’s deeply troubling when the courts put the abstraction of corporate free speech ahead of the reality of patients getting harmed or killed by unsafe drugs.